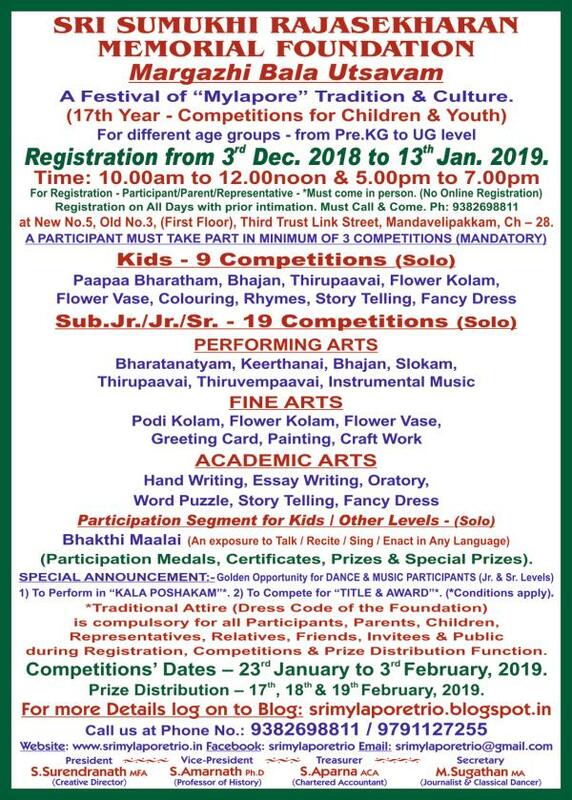 (17th Year “Mylapore” Festival of Tradition & Culture – 2019). (Near Santhome High Road, ICICI Bank). Registrations from 3rd December 2018 to 13th January, 2019. For Registration – Participant / Parent / Representative – *Must come in person. Registration on All Days with prior intimation only. Kids Level: – Pre.KG, LKG.